Bent, A. C. Life Histories of North American Jays, Crows, and Titmice. Washington, DC: Smithsonian Institution, 1946. Birkhead, T. The Magpies: The Ecology and Behavior of Black-Billed and Yellow-Billed Magpies. New York: Academic Press, 1991. Coombs, F. The Crows: A Study of the Corvids of Europe. London: Batsford, 1978. Cramp, S., and C. M. Perrins. 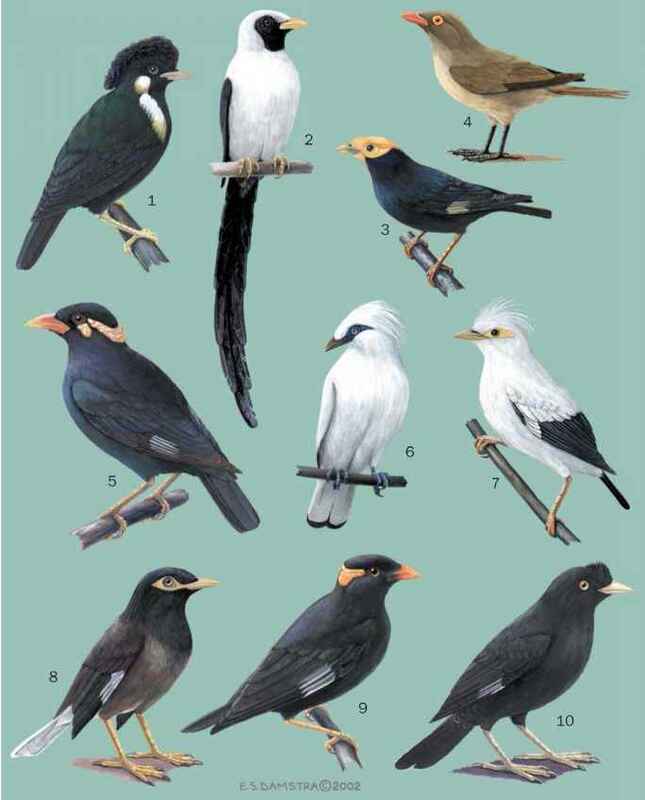 "A Handbook of the Birds of Europe, the Middle East and North Africa." In The Birds of the Western Palearctic, Vol. 8, Crows to Finches. Oxford, UK: Oxford University Press, 1994. Goodwin, D. Crows of the World. London: British Museum (Natural History), 1986. Heinrich, B. Ravens in Winter. New York: Summit, 1989. Madge, S., and H. Burn. Crows and Jays: A Guide to the Crows, Jays and Magpies of the World. London: Christopher Helm, 1995. Marzluff, J. M., and R. F. Balda. The Pinyon Jay. Orlando, FL: Academic Press, 1992. Palmer, J. D. Animal Wisdom: The Definitive Guide to the Myth, Folklore and Medicine Power of Animals. London: Thorsons, 2001. Ratcliffe, D. The Raven. Orlando, FL: Academic Press, 1997. Savage, C. Bird Brains: The Intelligence of Crows, Ravens, Magpies and Jays. San Francisco: Sierra Club Books, 1997. Yapp, B. Birds in Medieval Manuscripts. London: British Library, 1981. Emery, N. J., and N. S. Clayton. "Effects of Experience and Social Context on Prospective Caching Strategies by Scrub Jays." Nature 414 (November 22, 2001): 443-446. Sonerud, G.A, C. A. Smedshaug, and O. G. Brathen. "Ignorant Hooded Crows Follow Knowledgeable Roost-Mates to Food: Support for the Information Centre Hypothesis." Proceedings of the Royal Society of London B 268, no. 1469 (2001): 827-831. BirdLife International. March 18, 2002. <http://www.birdlife.net>.